For some reason I really like that stem/handlebar combo. Nice bell, too. the stem is a vintage Phillipe underslug stem. the handlebars are current Velo Orange Montmartre handlebars. The bars are fashioned after Phillipe french porteur bars. 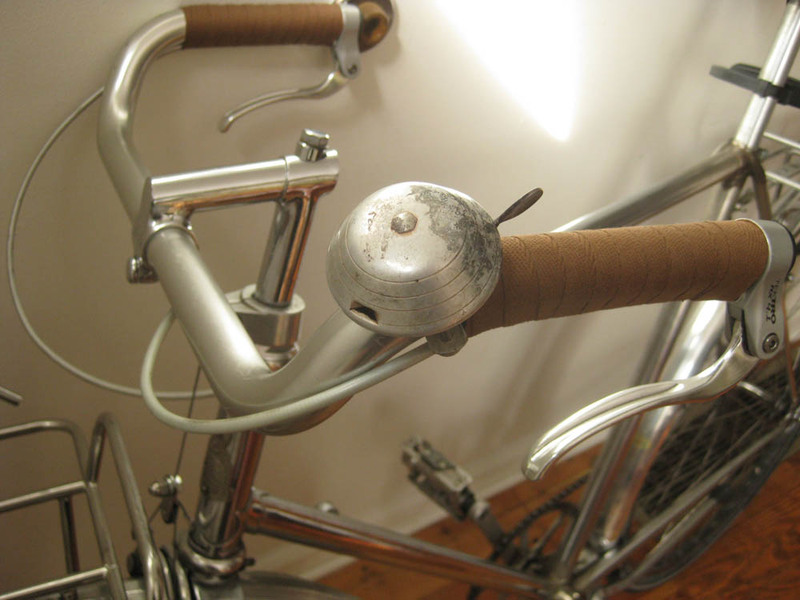 Ahhh…I recognized the Velo Orange bars, but did not know the origin of the stem. The good pairing makes sense, then.